Career Opportunities at Secondwind Water Systems, Inc. Creating a healthy and vibrant workplace where respect, honest, open communication and a healthy work/life balance are fostered is a vital part of what we do and who we are. We know that by caring for and investing in our Secondwinders, we create a team of people who care deeply about our mission and customers, are able to make a good living, enjoy good benefits, and will be with us for a long time. Many of our employees have been with us for well over a decade; some for over two. As we grow, we are always looking for fresh talent to add to, and enhance, the in-house skills, experience and expertise we have accumulated over twenty-five years. Water is central to our existence. Our mission is to provide safe, clean, great-tasting water to our residential, commercial and public water supply customers. We treat serious water quality concerns, including health issues like uranium, radon, arsenic, and gasoline contaminated water. We also treat more aesthetic issues, that are just as important to the running of regional businesses and the comfort of home. Whether you’re analytical or creative, tech savvy or a people person, we offer opportunities to challenge yourself. Our standards are high and our team works hard. We also have a great sense of humor, love to laugh, and we have fun. If you want to stretch yourself professionally, have an opportunity to take initiative and help us evolve, and enjoy coming to work every day, we hope you’ll consider joining the team! We believe that the only way to succeed is to keep learning. 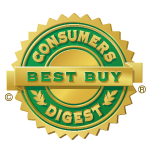 We invest in ongoing training for our employees, and support professional certification. 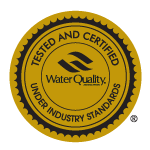 Secondwinders comprise 88% of all the Water Quality Association Certified professionals in the state of New Hampshire. If you want to join a team that is always looking to evolve, join us! Seeking experienced plumbers and or a plumbing apprentice, Water Treatment experience a plus. Installation, service, and support of residential and non-residential water treatment systems. Prepare and travel to customer sites as a regular part of the work. Be part of a team when installing larger scale systems. Work a forty hour week with overtime as needed. 45 hour week is common. Be prepared to attend training as needed with expenses paid by employer. This is a technical hands on position that requires skill with power and hand tools and related equipment with the ability to troubleshoot and diagnose using knowledge of water systems, various controls, water chemistry. Being a team player is important as the installations and projects often require several personnel on site. Customer relations skills are critical. Minimum requirement is a high school diploma. Technical training and/or experience in plumbing/pumps, hydraulics, controls, water treatment, and sampling would be helpful but not necessary. Related training/experience in construction practices, electrical, electronics would be beneficial. The more you know about this industry and the more you can apply your knowledge, the more valuable you are to us. We provide extensive training and development. Some training may require overnight stays. Valid NH Driver’s license required. This is a year round full time position. Tools are provided. Two weeks of paid time off after the first year with rapid accumulation and roll-over of unused time. Health Savings Account or HMO plan to choose from with generous employer contributions. 401K. Compensation: Please include desired salary.